Twitter lifted the 140-character limit from its Direct Messages in August 2015, and it’s reportedly planning to do the same for tweets. Instead of waiting for that change to get here, beat the limit right away with one of the third-party apps listed below. 1. TwitLonger: Link your Twitter account to TwitLonger and you can share long tweets at the click of a button. The catch is that on Twitter, the app displays only the first 100 characters (approx.) of your tweet and adds a link to the rest of it. When someone clicks on the link, TwitLonger takes them to the full content of your tweet on its website. See if you like JumboTweet better. It’s another longer-tweet app that works in a similar fashion as TwitLonger. 2. Tall Tweets: With Tall Tweets, you get to choose from a couple of tweet formats. One is the “textshot”, which renders the rich text content of your tweets as an image within a tweet. The other is the “tweetstorm”, which breaks down your tweet into multiple parts and pushes them out in sequential order. The character limit for tweets is not a number picked at random Why Are Tweets Only 140 Characters Long? Why Are Tweets Only 140 Characters Long? What's the story behind Twitter's famous 140-character limit on tweets? Read More . But some of you still want the freedom to write longer tweets, right? Besides, with media-based tweet options Think Twitter is Just 140 Characters? Think Again Think Twitter is Just 140 Characters? Think Again Twitter doesn't just have to be about simple old tweets. There is a whole lot more you can do if you have the right apps. Read More like Periscope, which lets you stream live to your Twitter, the 140-character limit is more symbolic than anything else. Do you like the idea of using an app to bypass the character limit for tweets? 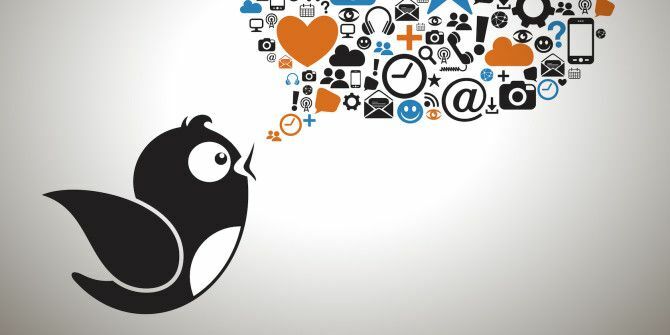 Or do you prefer to get creative with tweets in an attempt to keep their length within 140 characters? Tell us what kind of Twitter user you are! 5 Effective Tips for Asking a Girl Out on FacebookIs It Worth It to Be Insta-Famous? Word of warning about twitlonger. The "service" is run by one shady person, who seems to be a fascist who censors your tweets if he does not agree with them. If you question the actions and ask for explanation, he will send you an email that can only come out of an angry teenager with limited vocabulary that will also be filled with juvenile name calling, then he will "ban" your account from his "service", so you have been warned.